“I want my moneyyy! !” Freestyle Digital Media has released an official trailer for an indie thriller titled Danger One, directed by filmmaker Tom Oesch (Echo). Target Described as a “dark comedy/action film”, the film follows two paramedics taking a dying man to the hospital, who find a million dollars in cash sewn into his clothing. When the man dies, they decide to keep it, setting them on a path for a hellish night of violence and mayhem. Tom Everett Scott co-stars in this with James Jurdi, as well as Angélica Celaya, Denis O’Hare, Michael O’Neill, Damon Dayoub, and Charles Shaughnessy. This actually looks crazy fun, a wild mix of comedy and action. The trailer ramps up and gets more intense and insane by the end. Have fun. 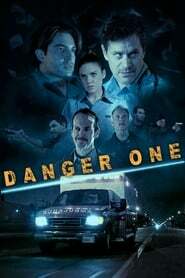 Danger One follows two paramedics, Dean (Scott) and Eric (Jurdi), who are both facing long hours, tough situations, and low pay. When they get a 911 call that leads them to High Voltage discover a million dollars sewn into the clothes of a dying man, erratic Dean persuades reluctant Eric to keep the money. When their colleagues, the dangerously seductive Brie (Celaya) and the temperamental fireman Max (Dayoub) learn of the matter, things grow even more complicated as internal greed, betrayal, and double crosses ensue. As twists, turns, and mayhem increase, Dean and Eric soon discover that in the emergency call business, life or death situations are only one call away. Danger One is directed by Swiss filmmaker Tom Oesch, of the film Echo previously, and also work as an editor for TV series. The screenplay is written by Steffen Schlachtenhaufen. Freestyle will release Oesch’s Danger One in select theaters Five Feet Apart starting September 14th.